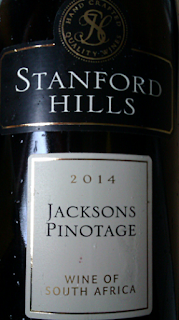 My Wine of the Month for March is Stanford Hills Jacksons Pinotage 2014. March was a lousy month for me, and hospital time meant I didn't taste as much as usual. 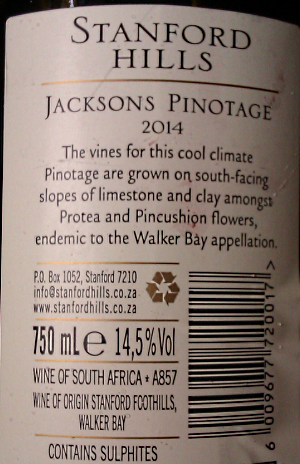 This wine was a highlight on the last day of the month. 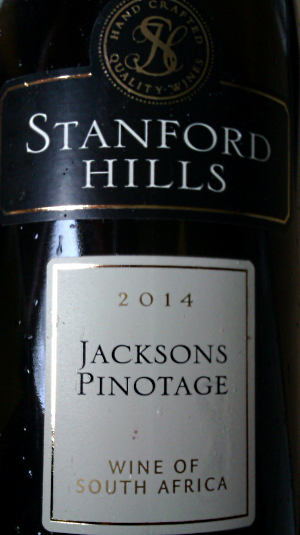 A solid powerful Pinotage with depth of flavour, lots of dark berries, an edge of mocha and softened tannins. 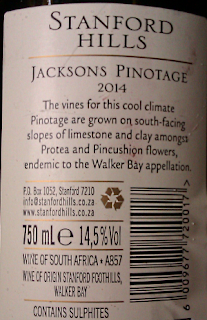 It was a wine I'd brought back from the Cape, and I was glad I did.